Very Very Vicky: Coral Cottage Is In Cottage Style Magazine! Woohooo! 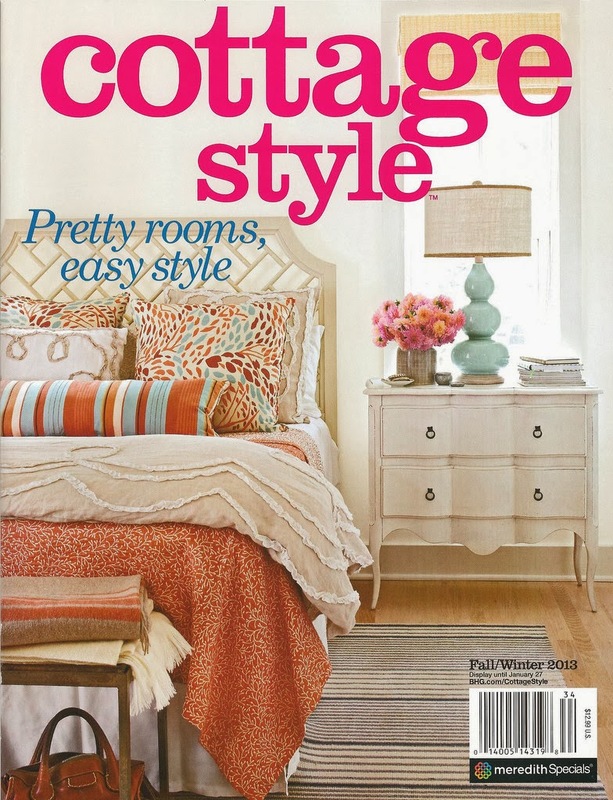 Coral Cottage Is In Cottage Style Magazine! Woohooo! The Coral Cottage has been published in Cottage Style magazine's Fall/Winter 2013 issue! I can't give enough thanks to Nancy Milligan, the writer of the article (who I shared about here), for loving our cottage and writing such a great story! Also a million thanks to Sandra Mohlman, our talented stylist, and to Richard Leo Johnson whose amazing photography showed the Coral Cottage off so beautifully! You can read more about the photo shoot here. I'm under contract with HGTV magazine to avoid sharing pictures of the Coral Cottage on my blog until their article comes out in June so---sorry! I can't post any....but Jane Coslick, who was my guide and hand-holder through the amazing and confusing world of home restoration at Tybee, has posted some on her blog so hop over there for a look. Coral Cottage article is first and there are lots of other wonderful cottages featured in the magazine--the whole magazine is a great read! going to get a copy tomorrow!!! Congrats to you and all your hard work! I'm going to stay in that cottage next time I come to tybee! Thanks so much! I hope I am at Tybee when you come 'cause I'd love to meet you. Will you give me a heads up? Is the cover a photo of your cottage? If so I love the colors! Are you allowed to share where you got the pillows? No, it is a scan of the magazine cover. The Coral Cottage article is the first one in the issue--it should be on magazine stands until January. I wish I could help with this but the photo on the front cover of the magazine is not of my cottage. Good luck with this. Have you checked Shades of Light for the lamp?